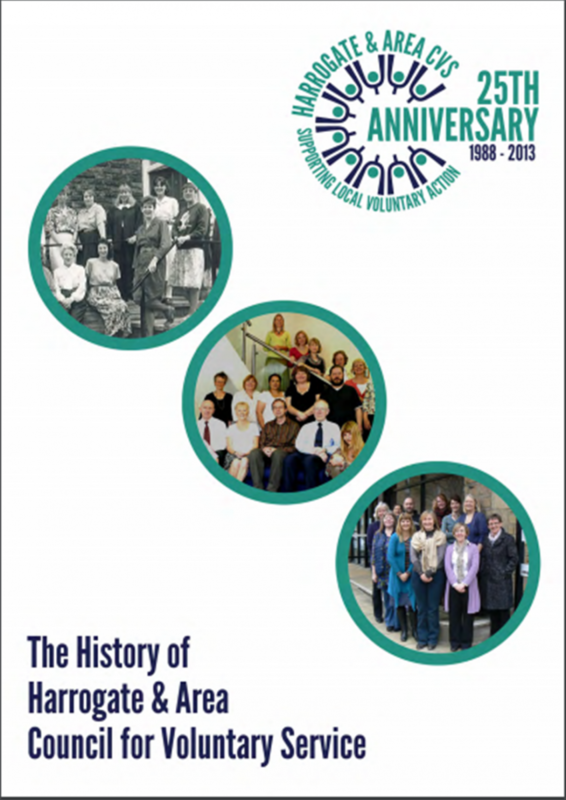 In 2013 Harrogate & Ripon Centres for Voluntary Service celebrated its 25th anniversary, but the story of the charity begins much earlier in the 1970s with the opening of the first Volunteer Centre in Harrogate. The first Volunteer Centre office was set up by Ann Morris MBE and was based at the back of 17 James Street. The office was decorated by nine boys from Granby Park Secondary School (now Harrogate High), and was staffed for 21.5 hours each week by Ann Morris and a team of fifteen volunteers. The Volunteer Centre service grew and began to receive more and more complex requests from local charities so by 1988 the Harrogate & Ripon Centres for Voluntary Service was formally registered as a charity. Since those early days HARCVS has supported hundreds of charitable groups across the district and many thousands of people to access rewarding volunteer roles. Including supporting many new groups which are now well established charities. Since Ann set up the Volunteer Centre in the 1970s there have only been 3 Chief Execs. To mark HARCVS'' 25th anniversary former Chief Exec, Hazel McGrath, has written up a history of the charity. Click on the link below to read more. Ripon CVS, which joined together with Harrogate CVS in April 2013, was formed back in 1963 and has supported our local community for over 50 years.